The Town of Drayton Valley is committed to building a safer community and creating safer neighbourhoods. 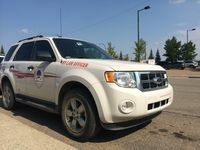 The Community Crime Map was developed by the RCMP to provide residents with a verified source of information regarding crime in Drayton Valley. Neighbourhood crime is more than just numbers; it’s about knowing where crime is happening. Knowing the real picture of neighbourhood crime reported to the RCMP is the first step in doing something about it. The map displays the last 14 days of crime data that can be viewed by our residents.